All rights reserved to Presch Media GmbH. Very bad mastering on this release. Feels like the sound comes out of a can. 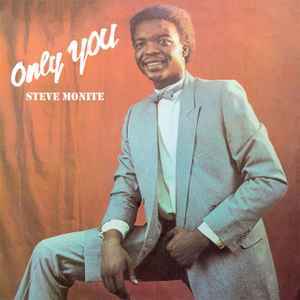 If you want a good mastered ''only you'' by ''steve monite'', buy the compilation album ''Doing it in lagos''. I have both and the compilation album is much better mastered! I bought this LP after having discovered the groovy Only You on Spotify. Very disapointed by the sound quality of the LP. The version on Spotify is part of a compilation “Doing it in Lagos”, which is not perfect but way better than this LP reissue. Lesson learned: Next time I want to buy a reissue of a vintage album, I should listen to it first. Consistently poor mastering by the label. Why even bother putting it out if you can't get it right? I can confirm that on this pressing the bass sounds as if it comes out of a can. Sound quality is better on this pressing than on most of the other PMG reissues ! low quality. dropping into a spectrum analyzer will show that this is a cheap copy of mp3 files. really disappointing reissue. Sound quality for "only you" is better on the "doin it in Lagos" compilation. This release is more lo-fi.